Switzerland-based biopharma start-up Enzyvant has gained a double fast track status from the FDA for its new rare disease candidate RVT-802. The investigational tissue-based therapy is for the treatment of complete DiGeorge Syndrome (cDGS), which represents a tiny subset of patients with the rare condition, DiGeorge Syndrome, caused by a single gene defect. 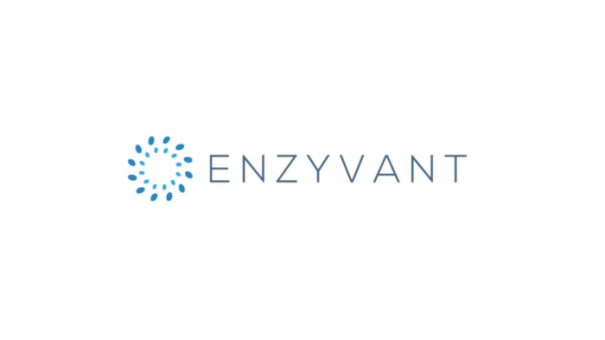 The announcement is remarkable because Enzyvant is the first company to receive a simultaneous Breakthrough Therapy designation and the recently launched Regenerative Medicine Advanced Therapy (RMAT) designation. Both designations bring with them special access to the Office of Tissues and Advanced Therapies, which will give development guidance as well as expedited review Regenerative Medicine Advanced Therapy (RMAT) status. This success is even more eyecatching when one considers the company was only set up last year. 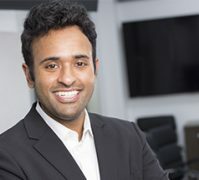 This is closely linked to the fact that Enzyvant is in the stable of companies overseen by Vivek Ramaswamy, a former hedgefund manager who is promising to shake up drug development and commercialisation. Roivant has a ‘long range’ to “reduce the time and cost of developing new medicines for patients and to share those savings with the healthcare system”. Ramaswamy believes the existing big pharma and biotech approaches to drug development are broken and need to be superceded. He has generated billions in funding for five spin outs since setting up his operating company Roivant Sciences in 2014 – not to mention scepticism about his ambitions among many drug development veterans. (for more on Ramaswamy, read Stat’s in-depth profile here). The five companies in full are Axovant (neurology), Myovant (women’s health and prostate cancer), Dermavant (dermatology), Enzyvant (rare diseases), and Urovant (urology). Roivant’s partners include Merck, Takeda Pharmaceuticals, GlaxoSmithKline, Eisai, Vertex Pharmaceuticals, Duke University, and Cincinnati Children’s Hospital Medical Center. Ramaswamy was in the news only last week when he announced the appointment of David Hung as the new CEO of Axovant, a star signing that send the dementia-focused company’s share price soaring. Now Enzyvant has grabbed the headlines with a promising innovation in rare disease. Dr. Alvin Shih, chief executive of Enzyvant also welcomed the news. “We look forward to working very closely with the FDA to make our therapeutic candidate, RVT-802, available to cDGS patients as swiftly and responsibly as possible,” he said. While the Breakthrough Therapy Designation (BTD) is well established, the Regenerative Medicine Advanced Therapy (RMAT) designation is a new FDA mechanism for fast-tracking promising drugs. RMAT designation is a component of the 21 Century Cures Act, and was only signed into law in December 2016. It is designed specifically to help bring new cell and tissue engineered products to patients. To receive the designation, any regenerative medicine must be intended to treat, modify, reverse, or cure a serious or life-threatening disease or condition, and have preliminary clinical evidence indicating that the drug has the potential to address unmet medical needs for such disease or condition. Enzyvant is only the second company to announce a RMAT designation for an investigational drug – the first being Humacyte’s Humacyl last month. RVT-802 is a biologic therapy which uses proprietary processes to harvest, culture, and apply allogeneic thymic tissue for the treatment of primary immune deficiency resulting from cDGS. Dr. M. Louise Markert, Professor of Pediatrics at Duke University invented RVT-802, and her researchers’ preliminary clinical results suggest a survival rate of over 70% for infants treated with the drug. Enzyvant says it expected a potential BLA filing in the first half of 2018. 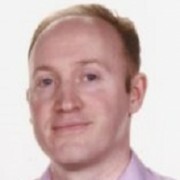 However the cutting-edge nature of the drug and techniques involved means that RVT-801 will be a pioneer in regulatory terms as well as medically, with no guarantees of success. The company has another candidate in its pipeline nearing clinical trials: RVT-801, an enzyme replacement therapy for acid ceramidase deficiency (ACD), a rare lysosomal storage disease which manifests as Farber disease, which currently has no treatment available.